Yeomen of the Karoo is a powerful story of real people. It is a tale of men (and women) who stood up and got counted, people who unquestioningly gave without counting the cost. Today there’s nothing but memories left, but the place surprises people when they first see it and visions taunt them long after they’ve gone. It poses far more questions than it answers. This hospital accomplished more than its creators ever envisioned, but once it was gone, it was almost as if it had never been. 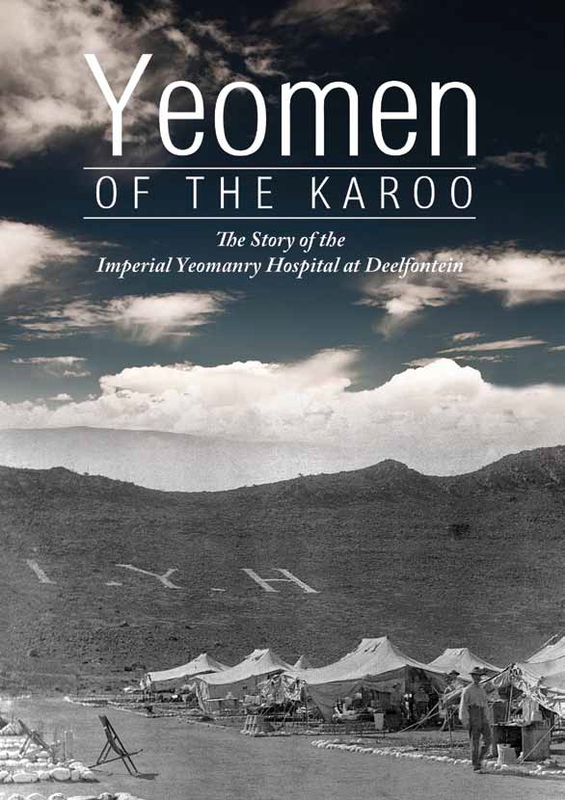 The story of the establishment of the Imperial Yeomanry Hospital at Deelfontein in the Karoo was researched and written by Rose Willis, an authority on the history of the Karoo, and editor of the popular e.newsletter, Roses’s Round-up; Dr Arnold van Dyk, a widely respected authority on the Anglo-Boer War, who has a vast private library on the subject, and much original documentation as well as photographs pertaining to the IYH, and Professor J C (Kay) de Villiers, an eminent Cape Town neuro-surgeon and expert on the medical history of the Anglo-Boer War and on the effects of typhoid. The story of this fascinating place has been fully researched and some excellent photographs, never published before, have been selected to illustrate the work.